The VXB 24Vdc LED beacon is part of the VTG family of products designed for use with conventional fire alarm systems, including two wire (SAV-WIRE®) and other general 24Vdc applications. 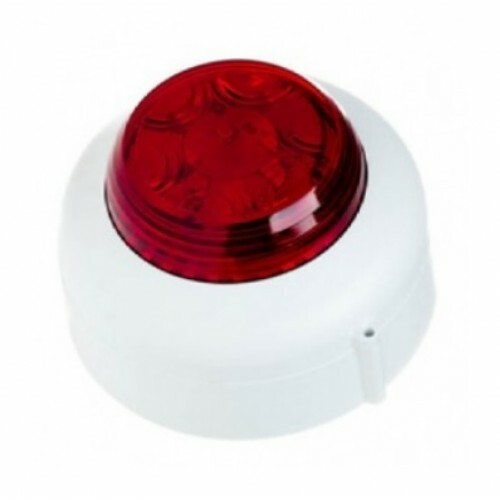 The beacon has been designed for maximum all-round visibility, coupled with low power consumption, utilising an array of energy-efficient LEDs. The product is designed with particular consideration to system power demands and uniquely comes with two wiring configurations for standard and low power settings. The low current feature helps to allow the installer to use a larger number of visual devices on a system and negates the need for additional power supplies. A dual flash version is also available which has been specifically designed to meet the Svensk standard SS03 17 11.